What Is the Difference Between Oily & Combination Skin? Oily skin benefits from a gentle, oil-free cleanser that doesn't contain drying agents that strip the skin. 4 What Can You Do So Your Face Won't Get Oily? Understanding your skin type is key if you want a clear, healthy complexion. While oily and combination skin types are similar in several ways, there are also noticeable differences which can indicate which skin type you have. Once you determine your skin type, you can create your perfect skincare regimen. When you have oily skin, within an hour or two of cleansing your face, there is usually some visible shine, and by the afternoon, your skin has a greasy appearance. Because of the excess shine, makeup tends to disappear from your skin throughout the day. Oily skin typically has enlarged or clogged pores too, which can lead to blackheads, whiteheads and other types of acne. While your entire face can be oily, the forehead, nose and chin -- called the T-zone -- are usually the shiniest and most blemish-prone areas. Oily skin can be affected by the seasons, with warm weather making the skin even oilier. Puberty and stress are other factors that can exacerbate oily skin. With combination skin, you have two or more different skin types on your face at the same time. As with oily skin, your T-zone can be extremely oily and experience enlarged pores and acne. However, unlike oily skin, your temples, cheeks and eye area are usually dry, so they are prone to dullness and flakiness. 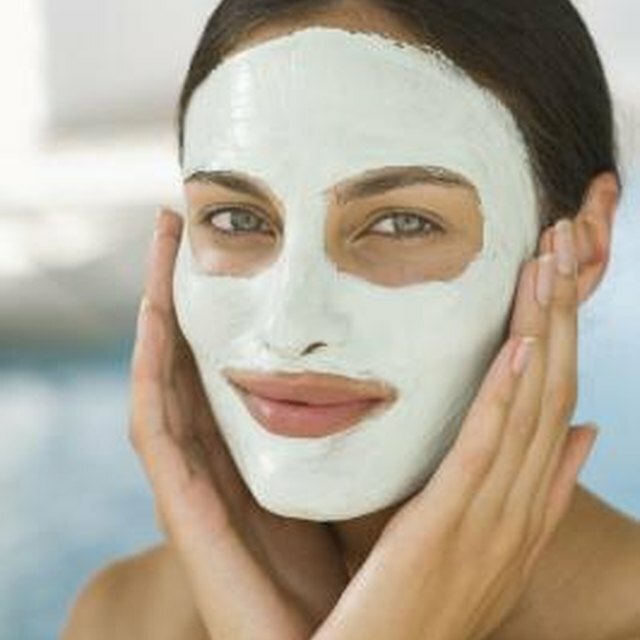 Because it features different types of skin, combination skin can be one of the more difficult skin types to care for. You may be tempted to use products that are drying to combat your oily skin, but harsh skincare products that dry skin out can actually cause your skin to produce more oil. Instead, use a gentle, oil-free cleanser that doesn’t contain drying agents like sodium lauryl sulfate. You can follow up with an alcohol-free toner to remove any oil or residue that remains after cleansing. Apply a light-weight, water-based moisturizer and wear a lightweight, oil-free sunscreen SPF15 to protect your skin during the day. Be sure to exfoliate to deep clean pores. A chemical exfoliant such as one that contains salicylic acid works best to get beneath the surface of your skin and keep your face acne free. For combination skin, you may need to use different products for the different areas of your face. Cleanse with a mild, water-soluble cleanser; choose a lightweight gel formula without drying agents, artificial dyes, or fragrances. Skip toner in dry areas, but use an alcohol-free toner in the T-zone to keep shine at bay. Use your regular moisturizer for the dry areas of your face, but make sure to use an oil-free option for the T-zone. Your daytime options should include sunscreen of at least SPF 15 to prevent sun damage. WebMD: What’s Your Skin Type? What Is the Difference Between Facial Mist and Toner?